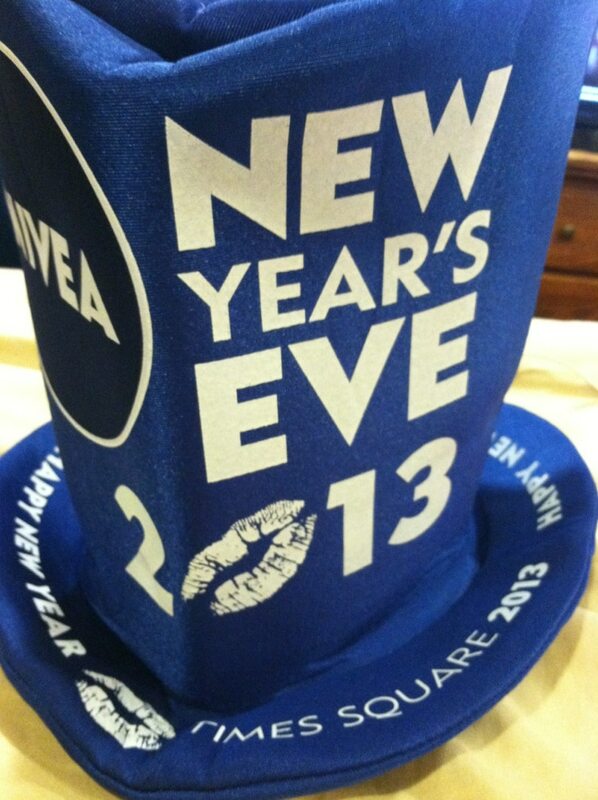 Here’s your first look at the official New Year’s Eve Times Square Hat for 2013. I was born in Manhattan and lived in NYC for almost 30 years (before moving to Long Island) and NEVER made it down to Times Square for New Year’s Eve. This is kind of awesome that my kids get to put on these hats because it would have NEVER happened otherwise! We like to spend New Year’s Eve at home ordering in Chinese Food and watching the ball drop in our PJs. 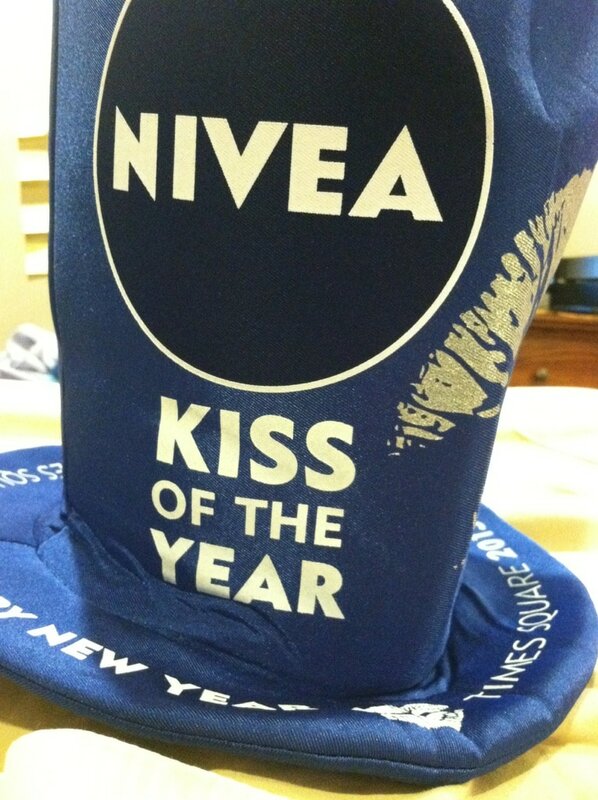 Now we have a new accessory thanks to Nivea! Check it out! 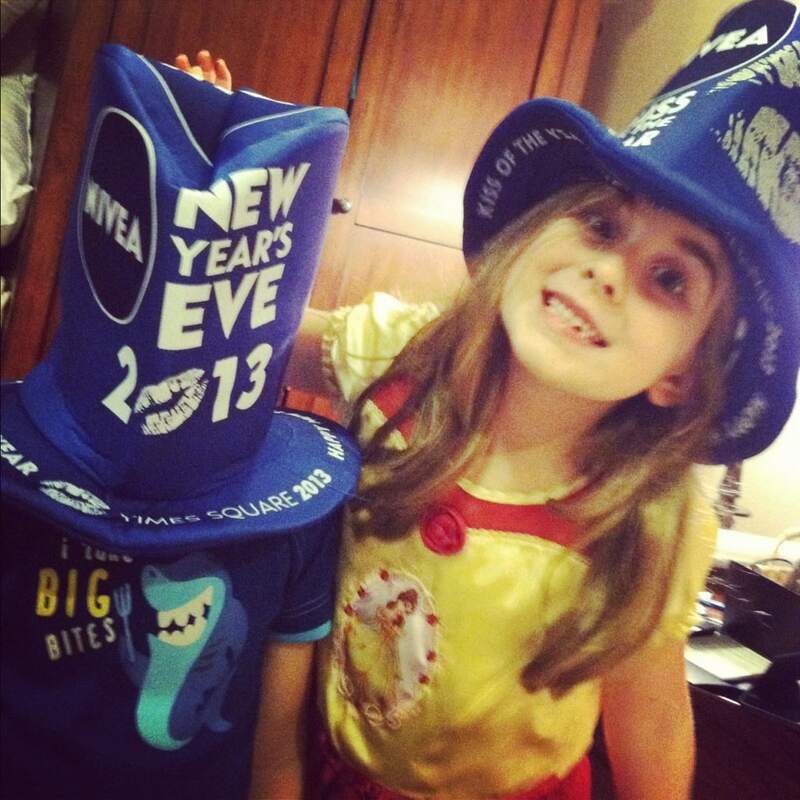 The 2013 Times Square New Year’s Eve hat. So fun! What are your plans for New Year’s Eve? Do you trek it into NYC? I goto Time Square from Westchester…I LOVE those hats..Where can I get one???? Where can i get this hat without having to go to Times Square? unfortunately I dont think you can – check out ebay after the 1st!